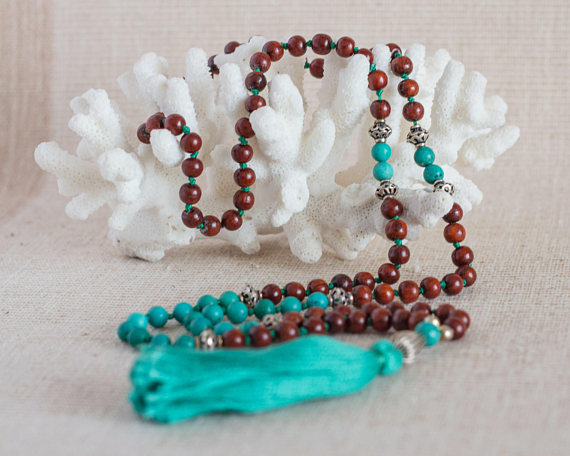 A wonderful Sandalwood Mala with 108 prayer beads of beautiful Turquoise and Sandalwood beads. 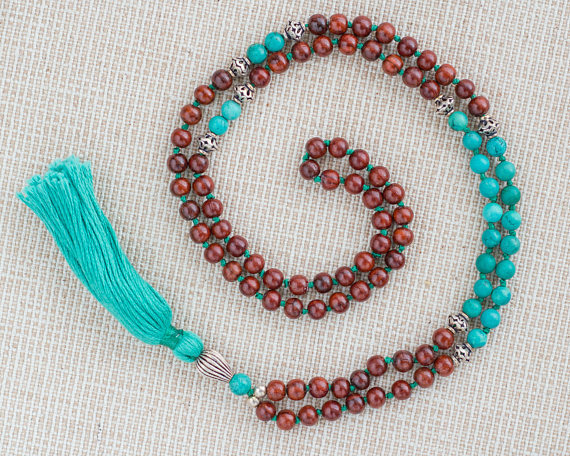 A handmade silk tassle is attached to the large main silver bead known as the Guru bead. Sandalwood has a relaxing and healing element. 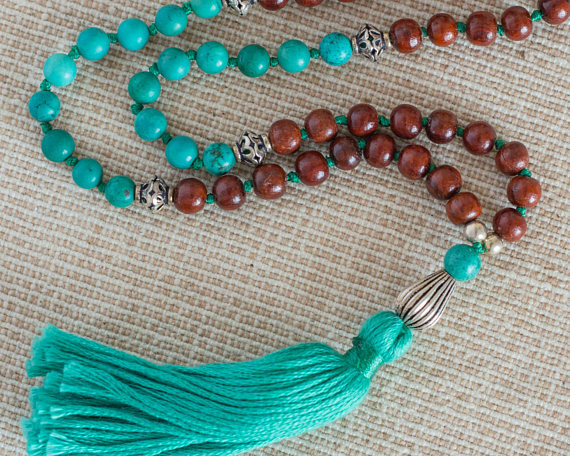 It is believed to guide spiritual journeys. 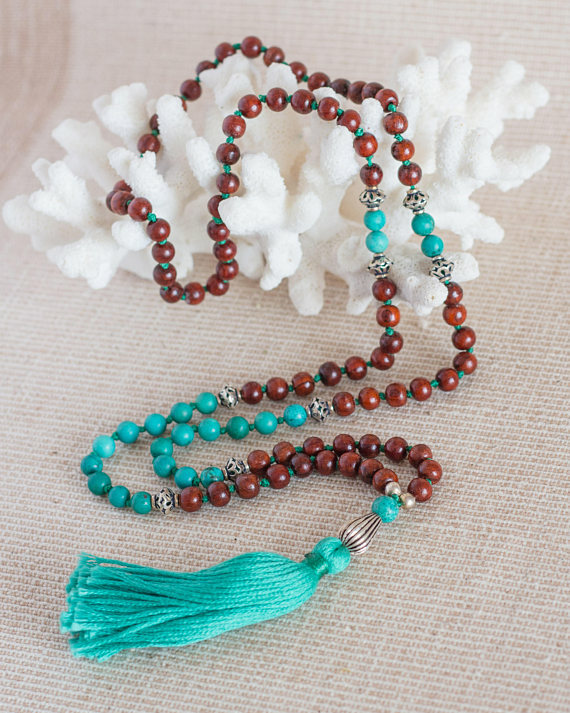 Wearing this wonderful Mala will help you remember to speak your Truth with grace and love.